Ella Bee Glendining has been vegetarian since the age of five and made the transition to veganism several years ago. She’s spent much time since experimenting with different ingredients and developing delicious new recipes. Ella is also a film-maker and physical theatre performer. 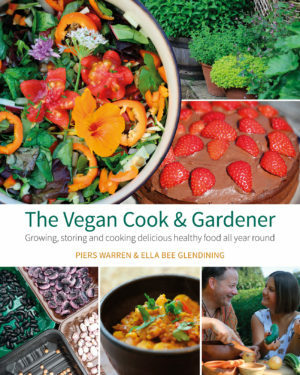 She and her father, Piers Warren, are a father and daughter team that wrote the book, The Vegan Cook & Gardener. They are both experienced vegan cooks. Do you want to eat more healthily? Lower your carbon footprint? Banish animal exploitation and suffering? Then this book is for you! 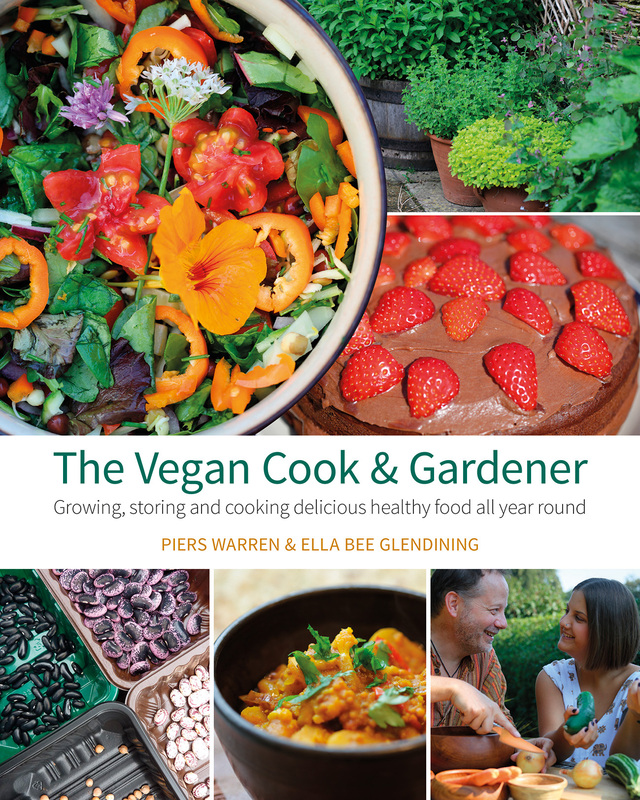 It shows what fruit and vegetables you can grow at home, how to store any excess to keep you going all year round, and how to prepare your produce with a selection of satisfying and delicious recipes. Join the fight against food miles, agrochemicals, and climate change, and discover the fun and huge sense of satisfaction that comes from cooking something you have produced yourself. Learn about vegan gardening, self-sufficiency, year round growing techniques and seasonal recipes, fruits and vegetables, herbs, salads and sprouts, challenging crops, plus lots of vegan resources.